APPLE VALLEY GOLF COURSE–Lake Lure-This course provides a unique challenge to both the accomplished and novice golfer. Stretching across Rumbling Bald Resort on Lake Lure, the 72 par, 18-hole course, designed by Dan Maples opened in 1986 and has been named one of the most beautiful mountain courses around by Golf Digest’s “Places to Play”. The course measures 6,756 yards from the championship tees, has a slope rating of 140 and a 73.2 USGA rating. EZ-Go electric carts are available for your enjoyment, outfitted with rain hoods, sand bottles, and USB ports for charging. Phone: (828) 625-1985 Visit their website by CLICKING HERE! CANOPY RIDGE ZIP LINE – Lake Lure –Experience the Blue Ridge foothills from a thrilling new perspective. Led by a professional team of friendly and knowledgeable guides, these zipline tours are perfect for both families and thrill seekers alike.Soar through the forest canopy, across gorges, hillsides, and water as you tour over 60 acres of stunning hardwood forest. Experience a fully immersive zipline experience in a minimally manicured forest hillside. The best part about Canopy Ridge Farm in Lake Lure is their commitment to leaving the land in it’s most raw organic form. Phone: (828) 625-4500 Visit their website by CLICKING HERE! CEDAR CREEK STABLES – Lake Lure – A family owned and operated business offering a variety of activities for folks of all ages! They are located in beautiful Western North Carolina, nestled around Lake Lure. Take a few moments to browse their website. This is an adventure you don’t want to miss. Cedar Creek Stables has been making vacation memories since 1993! Choose from a variety of trail rides, many along beautiful creeks and streams in a lush forest setting. Then finish the day in their Gem Mine or have fun with catch-and-release fishing, no license required. Phone: (828) 625-2811 Visit their website by CLICKING HERE! CHIMNEY ROCK GEMSTONE MINE – Chimney Rock Village – On the banks of the Rocky Broad River in Chimney Rock Village, you can prospect for your own gems. Your are invited to a riverside setting unparalleled by any other mine in the area. Come experience the wonder and excitement of prospecting for gemstones in a pleasant and comfortable atmosphere. The friendly staff will happily assist you in any way possible, from discovery to identifying your gemstone. Rock and minerals of all kinds have been found including Aquamarine, Emerald, Ruby, Garnet, Peridot, Quartz, Agate, Hematite, Amethyst, Sodalite, and many more. The gemstone mine guarantee a gem find every time, so everyone can feel the thrill. Phone: (828) 625-5524 Visit their website by CLICKING HERE! CHIMNEY ROCK STATE PARK – Chimney Rock Village – Some of North Carolina’s most dramatic mountain scenery is found at Chimney Rock State Park, with the signature 315-foot spire overlooking Hickory Nut Gorge and Lake Lure. Admission is charged at the principal Chimney Rock Access, though the nearby Rumbling Bald Climbing Access is admission-free and offers one of the park’s six trails. Visiting Chimney Rock Access offers opportunities for picnicking and hiking on trails that range from child-friendly nature explorations to moderately strenuous treks to the top of Chimney Rock Mountain and to the edge of Hickory Nut Falls. Concessions and gift shops are available. The Rocky Broad River is a destination for trout anglers. Phone: (828) 625-9611 Visit their website by CLICKING HERE! GREEN RIVER ADVENTURES – Saluda – Their name says it all. You can plan your activities based on your courage. Choose a mellow experience, or an adrenaline filled adventure like you’ve never had before. They have an extremely interactive website that helps you select what to do based on your ability to handle physical activity and how adventurous you’re feeling. Some of their activities include whitewater rafting, waterfall rappelling, kayak instruction, paddle boarding, canyoning, swimming, sliding, boulder-hopping, or even hikes to waterfalls and swimming holes. They also rent gear! Kids are absolutely welcome on any of the adventures. Just a short drive from Lake Lure, but well worth it. Phone: (828) 749-2800 Visit their website by CLICKING HERE! LAKE LURE ADVENTURE COMPANY – Lake Lure – They are dedicated to providing a safe, fun, exciting, and adventurous experience on Lake Lure. Whether you are vacationing at the resort, day-tripping, or a local, they have a variety of activities to offer for everyone! Their staff is well schooled in hospitality as well as water sports instruction, and will make you feel in your element. 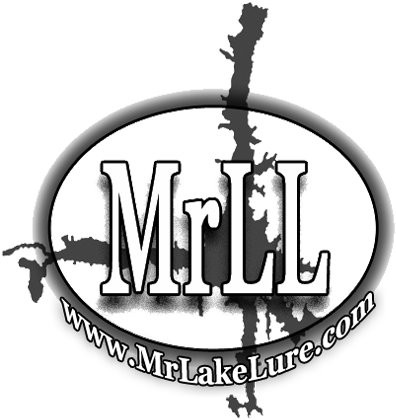 They offer the newest, hottest equipment and the best boats available in the area. You can even rent a pontoon boat for you and a group of friends. Please visit them and make your visit to Lake Lure memorable with ADVENTURE! BONUS: Professional instruction and top of the line equipment is included by their USA Water-ski certified instructors. Phone: (828) 625-8066 Visit their website by CLICKING HERE! LAKE LURE BEACH – Lake Lure – Welcome to the Beach at Lake Lure, located downtown. Relax under the sun, jump in the water, build sand castles, or picnic with family and friends. Lake Lure Beach is the perfect getaway for visitors and locals alike. Get ready for a soaking good time in their water park! On-site Beach House sells towels, chairs, sunscreen, floats, toys, and more. Water balloons may be purchased at beach house for water wars. Walking distance to the Lake Lure Inn, restaurants, and even ice cream! The beach maintains regular hours between Memorial Day and Labor Day. Admission prices apply. Phone: (828) 625-1373 Visit their website by CLICKING HERE! LAKE LURE BOAT TOURS – Lake Lure – Discover the beauty and charm of Lake Lure on a covered boat tour. Whether you’re interested in a relaxing and informative tour or taking a boat out on your own, Lake Lure Tours where you want to be. Listen to the legends of the lake and learn about the natural and cultural history of Hickory Nut Gorge, home to Lake Lure, North Carolina. Nothing beats cruising around Lake Lure with our friendly tour guides and enjoying the beautiful scenery. Choose from guided tours, sunset cruise, dinner cruise, or even a box lunch cruise. Phone: (828) 625-1373 Visit their website by CLICKING HERE! LAKE LURE FLOWERING BRIDGE – Lake Lure – Friends of the Lake Lure Flowering Bridge is a community based non-profit organization coming together to design, create, and maintain a flowering pedestrian bridge across the Rocky Broad River and the walkways at both ends of the bridge for the joy and benefit of all who come its way. The bridge, completed in 1925, served as a part of the US Highway 64/74 until 2011 when a new bridge was opened to traffic. The Historic Bridge #7 was turned over to the Town of Lake Lure to allow for the creation of this unique community garden bridge, to be developed by local people to further enhance the natural beauty of the Hickory Nut Gorge for generations to come. Phone: (828) 625-1119 Visit their website by CLICKING HERE! LAKE LURE GOLF CLUB – Lake Lure – Originally opened in 1927, this beautiful golf course was born in the “golden age” of golf course design. Donald Ross is said to have designed the original 18-hole layout. Due to the financial struggles of the late 1920’s only the existing 9 holes were completed. The log cabin style clubhouse was built in the mid 1930’s and survives today as another reminder of times past. That is the special allure at Lake Lure Golf Club. It is from a simpler time but provides a strong challenge, full of enjoyment for golfers of all skill levels. Come enjoy the mountain views, great golf design and a pleasing round with your friend. Phone: (828) 625-4472 Visit their website by CLICKING HERE! LAKE LURE PONTOON RENTAL – Lake Lure – Captain Ed Lee has lived in Lake Lure for 32 years, and brings his passion for quality service to this boat rental business. His fleet of pontoon boat rentals keep vacation renters and visitors to the Lake Lure area coming back year after year. As a retired US Navy Veteran, Ed brings his passion for the water, boating, and stellar customer service to each boat rental experience. Get out on the lake with Lake Lure Pontoon Rentals, and you’re sure to have an awesome time on the water. They’re your number one choice for clean, reliable, family style fun on the lake. They offer full day pontoon rental, pick-up, and drop-off services anywhere on the lake including to your own dock! Phone: (828) 625-0073 Visit their website by CLICKING HERE! 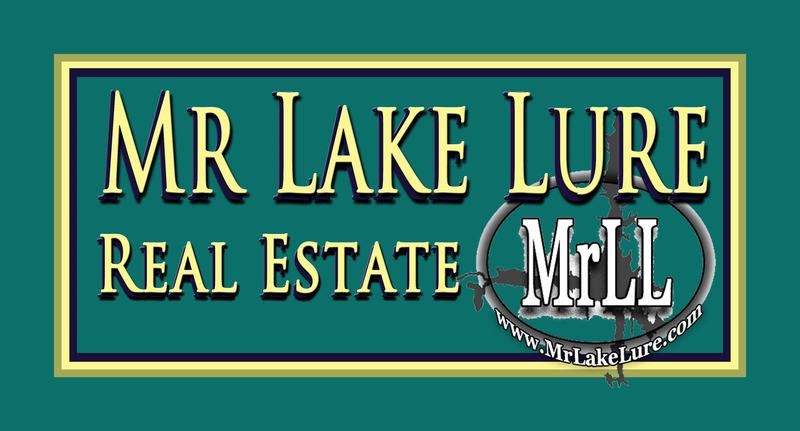 MR LAKE LURE’S® THINGS TO DO – Lake Lure – This Facebook page published by “Mr. Lake Lure” is the local’s guide to the area. Stay up-to-date on everything Lake Lure including: Festivals, events, attractions, shows, trails, hikes, holiday happenings, restaurants, cafes, bars, breweries, and much more. Area videos and current events are frequently posted here including news, weather, traffic, and emergency information. Here you will find discounts, specials, and last minute deals. Sometimes you even see local gossip or secrets. If you love Lake Lure, you should definitely visit, “like”, and follow this page! Phone: (828) 625-5554 Stay current by CLICKING HERE! MORSE PARK – Lake Lure – This park features beautiful vistas of the mountains of Hickory Nut Gorge and is a popular choice for an impromptu picnic, sunbathing, reading, bird watching and catching an afternoon nap in a lawn chair by the lake. It is a 23-acre community park in the center of town at the western end of Lake Lure. The park is conveniently located next to the Municipal Center. Open year-round, the park is popular with residents and visitors alike. Whether you are up for a casual stroll, a short speed walk or a low-impact jog, this park is ideal for all three. All trails are paved. Morse Park consists of four distinct areas, the meadow, the gardens, the wetlands, and the riverside. Bring your lawn chair, blanket, and picnic basket. Phone: (828) 625-9983 Learn more about Morse Park and all there is to do by CLICKING HERE! TRYON INTERNATIONAL EQUESTRIAN CENTER (TIEC) – Mill Spring – An international hub for the world’s top equestrian athletes. Guests are welcome 365 days a year to watch, dine, shop, and experience the premier riding facility in the world. Watch world class athletes from elevated viewing areas around each ring with ample shade and seating, designed with spectators in mind! Enjoy a diverse range of dining options, for a family night out with the kids or an intimate evening of casually elegant dining. A vast array of air conditioned shops have something for everyone, including resort wear, fine art, jewelry, toys, riding apparel, tack, and more. Admission to all horse shows and parking is free and open to the public. Phone: (828) 863-1000 Visit their website by CLICKING HERE!